Connect employees and engage customers. Drive digital innovation. Create advanced mobile experiences for clients with the tools and technologies that are fast, secure, and integrate with your data. Clients and employees are demanding applications at their fingertips with as much or more power than they get on the desktop. We can help you deliver advanced mobile applications that integrate with your enterprise and deploy natively on mobile devices. Build and maintain secure enterprise mobile apps - from the start. Today there are far too many tools to build mobile apps - creating security and maintenance nightmares. Applying patches, debugging apps, and syncing different code platforms costs time and money and risks enterprise security. Enterprise mobility application development tools reduce time and effort - build your apps on a single codebase - write more secure applications the first time. Keep all your mobile platforms in sync. Kony was named a leader in the Forrester Wave Low-Code Development Platforms Q4, 2017 Report. Alacrinet can help you move to an enterprise grade mobile app development environment. We work with the industry leading mobile technologies so that you can deliver and maintain secure, mobile apps that exceed your clients expectations. 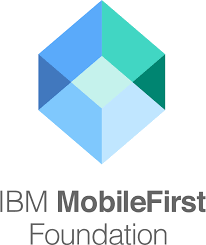 IBM Mobile First offers a complete app dev environment, with app building, integration, security, and testing. IBM's enterprise-grade capabilities support building and deploying the next generation of cognitive, contextual, and personalized mobile apps. 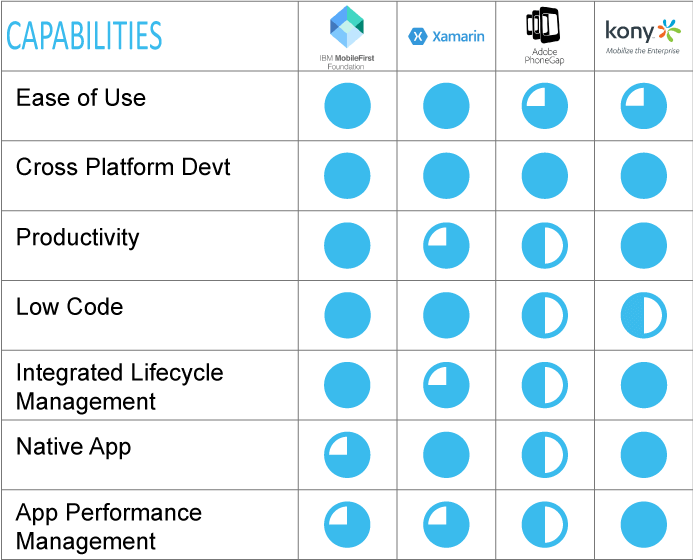 Xamarin allows you to deliver native iOS, Android, and Windows apps using existing skills, teams, and code in Microsoft Visual Studio with a single code base. Develop on either a PC or Mac with tools for efficient code editing, debugging, publishing and more. Alacrinet works with these tools and more. 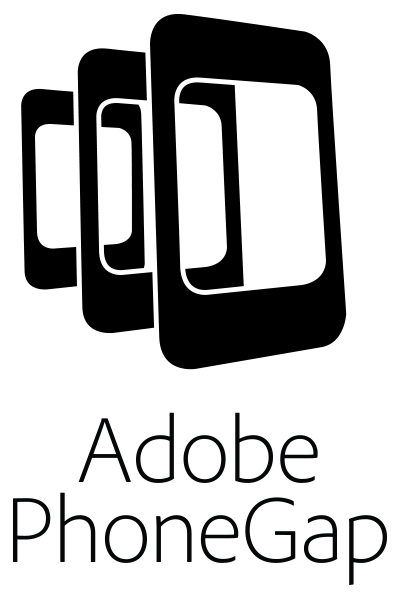 We can help you decide what are the best tools to use for your environment to ensure you deliver the best mobile apps for your clients.